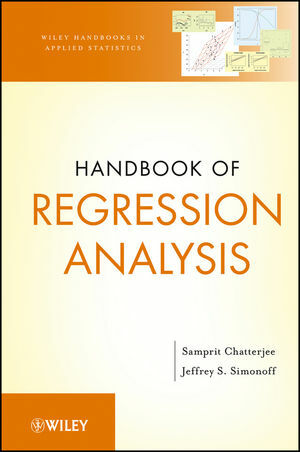 A Comprehensive Account for Data Analysts of the Methods and Applications of Regression Analysis. SAMPRIT CHATTERJEE, PhD, is Professor Emeritus of Statistics at New York University. A Fellow of the American Statistical Association, Dr. Chatterjee has been a Fulbright scholar in both Kazakhstan and Mongolia. He is the coauthor of Regression Analysis by Example, Sensitivity Analysis in Linear Regression, and A Casebook for a First Course in Statistics and Data Analysis, all published by Wiley. Jeffrey S. Simonoff, PhD, is Professor of Statistics at the Leonard N. Stern School of Business of New York University. He is a Fellow of the American Statistical Association, a Fellow of the Institute of Mathematical Statistics, and an Elected Member of the International Statistical Institute. He has authored or coauthored more than ninety articles and five books on the theory and applications of statistics.